It is clear that the indigenous drink of our country and wider region is wine. Vineyards grow everywhere today and this echoes the situation described in the Bible. The reverence surrounding wine in the Judeo-Christian world and in the west, is partly due to the importance of wine here in ancient times. As far as spirits are concerned, the largest selling spirit by far is vodka. The first generations to come here came from Eastern Europe, and they brought with them a love for vodka, but drinking was modest and in moderation. Now with the country in the fifth generation since the First Aliyah, vodka consumption has grown, especially with the young. However, vodka is not today a pick me up shot from a bottle kept in the freezer, primarily drunk for a Lehaim or to accompany smoked or pickled fish. It is now drunk by the youth of the country with a mixer, usually an energy drink to get a kick as quickly is possible. Sales rock, and producers are sometimes shocked at how much vodka is sold in our small, supposedly abstemious country. Whereas vodka dominates sales, the spirit that epitomizes the feinschmeker in us all is not the vodka of their forefathers, but whisky. The talk amongst the Jewish intelligentsia usually revolves around Scotch malt whisky. I am amused to hear discussions about the importance of choosing a good enough whisky for a Kiddush or a Bar Mitzvah. Once the quality of the food was the issue, and any old whisky would do. Now it appears that peer pressure has played a part in improving the whisky supplied at Simchas. Not for nothing I have referred to it as the Jewish spirit in other articles. However, the indigenous, ethnic spirit of Israel, the Levant and the Eastern Mediterranean is not Vodka or Whisky, but Arak. This is an anise flavored drink that goes milky white when mixed with water. They call it ‘Lion’s Milk’ in Lebanon and the exalted status of the Lebanese with regard to Arak matches that of the French to wine or the Scots to whisky. Michael Karam in his excellent book ‘Arak and Mezze’ describes the typical cycle. The artisanal Lebanese farmer would harvest his grapes in the autumn, take what he wanted for food or to make raisons. The rest he would make into wine, which would be drunk during the winter months. As the wine would begin to turn in the spring, he would distill the rest to make arak. This he would enjoy throughout the summer months until the cycle would repeat itself the next harvest. In the region, Turkish Raki, Greek & Cypriot Ouzo are variations on a theme with Lebanese, Jordanian and Israeli Arak. It is also not dissimilar to French Pastis and Pernod, and the Italian liqueur Sambucca. The word arak means ‘sweat’. The drops of condensed alcohol are said represent perspiration! Owing to the pungent anise flavor, Arak is in the same category as Marmite, in that you either love it or hate it. There are very few people indifferent. Israeli produced spirits used to be dominated by the big local producers like Carmel, Stock (Barkan) and Askalon (Segal). There was a period in the 1990’s when Carmel’s bottling plant was running 24 hours a day to keep up with demand for vodka. As global brands became more accessible, the local production withered. Elite, Alouf and Askalon Araks are survivors I suppose. 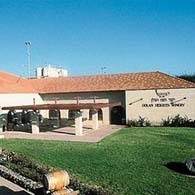 There is a certain retro in production of Israeli spirits witness Pelter, Julius and Golan Heights distilleries amongst others. These small, handcrafted artisan distillers have created local interest in the sector now dominated by large international brands. As far as Arak specifically is concerned, the tax reform on spirits did not help. True it benefited the consumer overall and the more expensive spirits became cheaper, yet it hammered the better value categories, like arak, which became more expensive. In a way it damaged the arak market immensely, but the two flag bearers continue above the fray. Elite Arak remains the budget option available in every kiosk or liquor store in Israel. Their logo of a deer is very similar to the logo of the Ginio Winery, the first recorded winery in Israel. As for the other end of the spectrum, the family produced Kawar is now clearly the quality leader in Israel. Another quality brand El Namroud, produced by a refugee from the South Lebanese Army, is still available because of existing inventory, but the distillery was closed. This leaves the quality field in Kawar’s hands. Kawar Arak was first produced by Iskandar Kawar in Jordan 70 years ago. His son Baheeg Kawar opened a grocery store in 1950 in Nazareth. It stayed open until comparatively recently, when the competition from local supermarkets became too great. His children, Anan and Alaa, grew up in an atmosphere of hard work and taking responsibility. They returned from school and instead of doing homework or playing with friends, went to roll up their sleeves and help in the family business. This created a unique work ethic and a sense of family togetherness that still exists today. Baheeg Kawar always loved Arak enjoying a glass every day in the evening after work. As an Arak connoisseur, he appreciated the quality Araks produced in Lebanon, particular Le Brun, produced by Domaines des Tourelles and Kefraya from Chateau Kefraya. He also was more than familiar with the family heritage in Jordan and he had a dream to bring the Jordanian family tradition of Arak production to Israel. In 2004 the family began an initiative to combine family history with local traditions and modern technology to explore the possibilities of producing high quality Arak in Nazareth. In 2010 the new state-of-the-art distillery opened in 2010, in the Zipporit Industrial Park, near Nazareth Illit. I recently visited and found it very well equipped and impressively clean. This was certainly not the case with some of the other distilleries I have visited in Israel over the years. 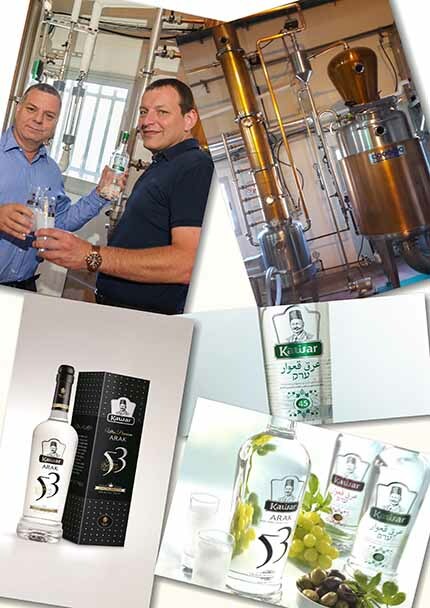 Anan Kawar, the Chairman, and Alaa Kawar, CEO, jointly manage the family distillery. Their prime objective is to make a high quality product. This is their driving force and in all their decisions they constantly seem to veer to the more expensive option in pursuit of this aim. This has a price consequence, but as Anan told me wisely: “Nothing is cheap without a reason and nothing is expensive without reason.” Which means you get what you pay for. They have a bright sparkling new copper still, a new bottling line and a pleasantly open master distiller, Ivan Kostin, who learnt his profession in Russia. Arkadi Papikian, ex -winemaker at Carmel Mizrahi, Dalton Winery and Amphorae Vineyards and one of the foremost wine & spirits consultants in Israel, is on hand offering advice. In 1990 we were both reasonably new olim (immigrants) working at Carmel Mizrahi at Rishon Le Zion Cellars! His wine expertise was within the gates of the winery and mine was outside! Kawar produce premium arak, which they sell under two brand names – Kawar and El Pasha. These may be found in leading restaurants, bars and wine stores throughout Israel. The basic brand in the range is Arak El Pasha, which is 45 percent alcohol. This represents excellent value and is an arak for using in cocktails, or mixing with lemon or grapefruit juice. Then, under the Kawar label, there is a Delicate Premium Green Label at 45% alcohol, and a Classic Premium Red Label at 50%. These are ones to enjoy on a day to day basis, to enjoy in a restaurant or bar as an aperitif or with mezze. Arak is best enjoyed with only water added. It should be served in small thin, narrow glasses, somewhere in size between a ‘mini-me’ highball and a glass for Turkish coffee. Not dissimilar to an ornate Moroccan style glass for serving tea. It will be conveniently held between thumb and forefinger. The classic recipe is 1/3rd arak and 2/3rds water. However, this may obviously be adapted for taste. If you prefer reduced alcohol content or a less pronounced anise taste, simply add more water. Make a longer drink, adding five parts water to one part of arak instead. Pour the arak in first. The liquid will be clear, no different than vodka. Then with the addition of water, it turns to its familiar cloudy, milky white color. Only after adding water, and the purists insist on this, is it permissible to add a cube or two of ice. Finally, for taste or a touch of color, carefully place a sprig of nana mint in the glass. It then looks the part and you have before you a drink that symbolizes a whole region. It is not to be gulped like a shot of vodka, but to be sipped and savored slowly as an aperitif, whilst listening to the backdrop buzz of small talk in the bar or cafe. Arak perfectly accompanies the variety and extremes of tastes and flavors in mezze. The acidity, spiciness, sometimes hot, garlicky starters can murder a wine. For home use, or if you want to give a gift, I recommend the Kawar Traditional Premium Black Label at 53%. This is the prestige Arak, with a richer, broader anise flavor and a denser milky color with water. Why specifically 53% alcohol? Anan Kawar explained when they were tasting, it was exactly at 53% that the taste and flavor was at its optimum. Kawar Arak is produced 100% from grape alcohol made from sweet white grapes grown in the Galilee. 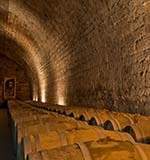 A favorite variety for distillation is Dabouki, and Colombard is also used for distillation here, in particular to make brandies. The anise comes from an exclusive area in Syria near the Turkish border (not far from Iskanderon). I sniffed a handful of anise and it was almost odourless, but when I rubbed it in my hands, the familiar aromas came to the fore. Kawar Araks undergo three distillations and they are kosher and kosher for Passover. The araks have gained quality third party recognition winning many awards, including a Gold Medal at the prestigious International Wine & Spirit Competition in London. This is one of the leading sprits competitions in the world and it is rare for Israel gain gold medals in this forum. Anan and Alaa’s grandfather gives an imperious look in his tarbush, as he surveys all from his position in the center of the label. Sadly Baheeg did not witness the success of the new distillery, but his wife, Widad, was there on my visit giving off youthful vibes, with a warm welcome and lovely smile. She knows her boys have done a good job and that Baheeg would be very proud. There is nothing better but to sit on the patio or balcony on a cool, summers evening with some pistachio nuts and spicy souri olives, sipping arak as the sun goes down. It is the classic summer drink and with a taste that reeks of place and authenticity.